The solar process should not be complicated, working with professional installers like Prosolaire. We are able to provide a service tailored to your region and your specific needs. Our experience in off-grid and grid-based power systems allows us to take control of your entire project right from the design and dimensioning stage. Our team can carry out the analysis and make a complete report on your annual production, draw the assembly diagrams, manage your project, do the programming, the engineering and the complete installation on the site. We distribute reliable products of the highest quality to obtain a return on investment quickly and maximize the energy produced. We believe that increasing our renewable energy production as well as contributing to the reduction of greenhouse gases is essential. Save the planet! – Working with our solar specialists just as dedicated to meeting our rigorous standards. This professional approach in the field sets us apart from other solar energy providers. But most importantly, your system is up and running as quickly as possible. There are many reasons to adopt solar energy, but we have reduced it to what we consider to be the top three motivators for most people. Reduction of electricity bills, consumption of Hydro Quebec’s network is reduced to nights and rainy days. Protection against rising electricity costs. 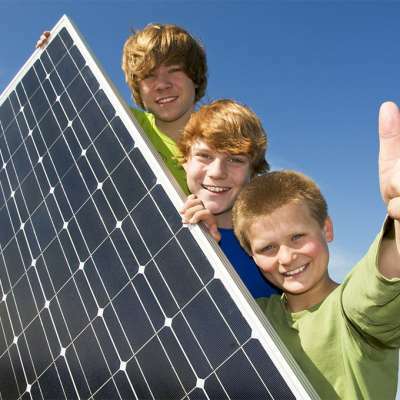 Clean and sustainable energy, join the solar revolution. Self-reliant lamps available in hybrid and solar version. Lighting products that meet your expectations. Contact us now, we are here for you.